In a news conference Wednesday afternoon, RCMP confirmed one person had died after a car exploded in a Sherwood Park parkade. A large area in Sherwood Park was blocked off Wednesday, and classes at two local schools were cancelled after an explosion and fire at a local library Tuesday night. Strathcona County RCMP said on Tuesday at about 6:30 p.m., a fire was reported at the Strathcona Community Centre. Police and emergency crews responded and evacuated the centre and surrounding areas. 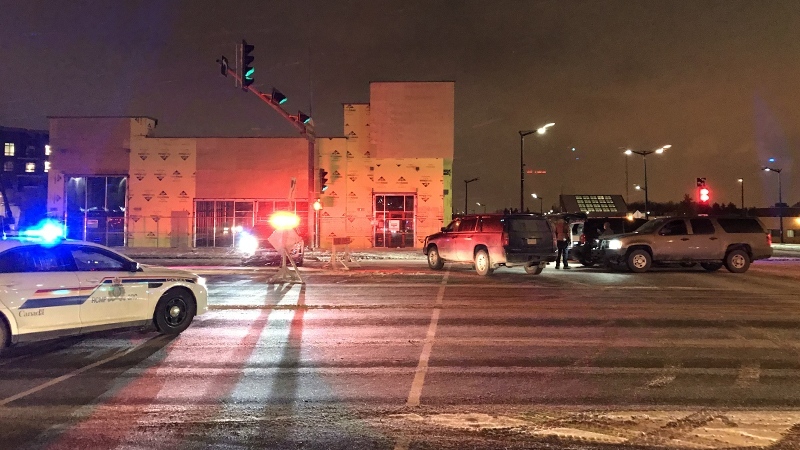 Investigators discovered there had been an explosion in the parkade, and a suspect male was found in a vehicle in the parkade shortly after police were called. 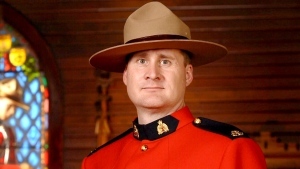 He was taken to hospital, where he later succumbed to injuries RCMP said were not related to encounters with police. Police said the name of the deceased will not be released; RCMP would only say the deceased was 21 years old. As a result of the explosion, the RCMP Emergency Response Team and the Explosive Disposal Unit were called to assist. Police said the Explosive Disposal Unit will remain on the scene, and the area has been blocked off while police determine the cause of the explosion, and make sure there are no other possible threats. Strathcona County Mayor Rod Frank said he was inside the Community Centre at the time of the explosions and evacuation. “I did witness smoke and fire in the aftermath,” Frank said. Two area schools were closed Wednesday: Salisbury Composite High School and St. Theresa School due to the incident. The offices for Elk Island Catholic School Division, the EICS Central learning services, were also closed. Officials advised anyone who has a vehicle parked in the Community Centre parkade to call Strathcona County at 780-417-7100 and leave their name and contact information. The county would then contact the vehicle owners when the vehicles are towed out. It wasn’t clear when the vehicles would be towed out. The RCMP Major Crime Unit has taken over the investigation.